A different Russo's - Russo's Gluten Free Gourmet - debuted its new mini Pizza Bites, comparable to Totino's Pizza Rolls. It's amazing that the gluten-free Hot Pockets niche - long unfilled - now has two companies in that space. Similar to Glutenfreeda's Pocket Sandwiches, Gluten-Free Delights makes a microwaveable Uncured Pepperoni Stuffed Sandwich that, unlike Glutenfreeda's versions, includes a crisping sleeve. 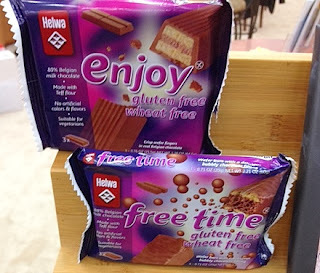 When our son was first diagnosed with Celiac Disease, one of his favorite treats was a gluten-free Kit Kat-like candy bar from England that disappeared without notice some years back. Now a Dutch company is introducing gluten-free wafer bars to an eager audience. Both of Helwa's Belgian milk chocolate varieties, a traditional bar called Enjoy and Free Time - an aerated chocolate confection - are made with teff flour. These will soon be available on Amazon.com as well as brick-and-mortar stores. Ruger's non-GMO teff-flour wafer cookies are similar but don't have an outer chocolate coating. These come in vanilla and chocolate varieties. 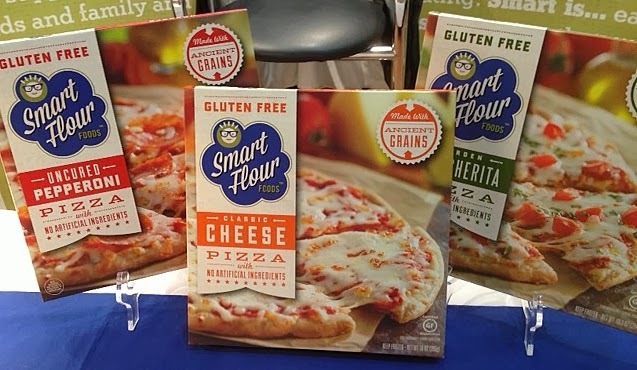 They'll be in stores and can also be purchased directly from the company and via Amazon.com. The company also sampled its new all-natural Tree Hugger gumballs. The Fig Newton is one cookie that hasn't had a true gluten-free counterpart - until now. 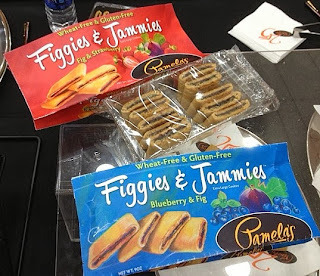 Pamela's Products is rolling out four varieties of soft and moist Figgies & Jammies. They'll be available in four flavors, Fig & Strawberry, Blueberry & Fig, Fig & Raspberry and traditional Mission Fig, for about $5 per package come January. To complement its delicious chewy cookie line, WOW Baking Company will soon have Yellow, Chocolate and Spice cake mixes. Udi's Gluten Free introduced pumpkin muffins and soft ginger cookies for the fall season. 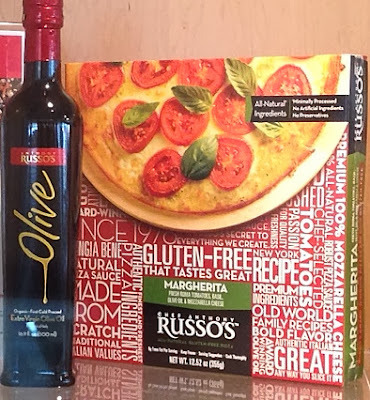 These products will be on shelves this month. Gratify Foods has extended its gluten-free product line beyond pretzels to include vanilla shortbread cookies and cracker thins. It'll be hard to go back to eating ordinary rice cakes after trying Element's take. Along with regular-size and mini versions dipped in milk and dark chocolate, Element also has two other flavors, one coated with orange cream and another with strawberry yogurt. There are also new, thinner chocolate-covered corn cakes. 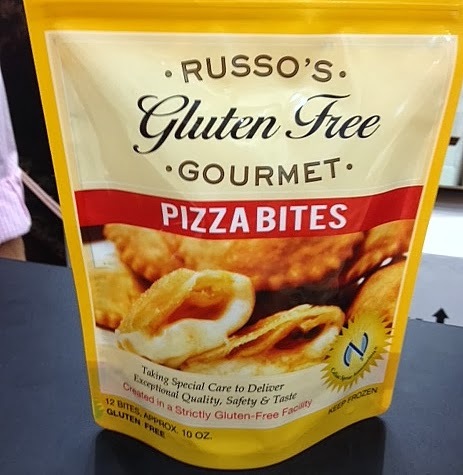 There were many nutrition and sports bar companies at Expo East. One of my favorites is NuGo Nutrition, which announced a new line of gluten-free high-protein, high-fiber bars in four flavors: Real Dark Chocolate, Peanut Cluster, Cookies 'N Cream and Caramel Pretzel. These new bars are made with a hormone-free whey protein blend and contain between 25g and 27g of protein per serving. Kansas-based Laurie's Kitchen has developed a line of gluten-free soup mixes and pasta meals. 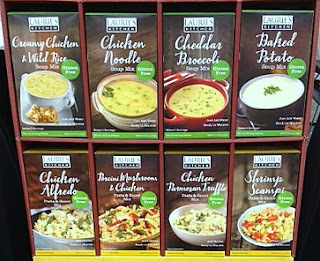 The soups include Chicken Noodle, along with Baked Potato, Creamy Chicken and Wild Rice and Cheddar Broccoli; water is the only ingredient to be added at preparation. The meal kits come in four varieties: Porcini Mushroom & Chicken, Chicken Alfredo, Shrimp Scampi and Chicken Parmesan Truffle. Both the Chicken Noodle soup and the meals include corn and rice pasta imported from Italy. Next: Baked goods, ice cream, chips and more. Those figgies and jammies. I can't wait until they're out on the market!